Cindy Crawford undertakes pole dancing classes to stay in shape, although she will enjoy a piece of dark chocolate ''every night'' to satisfy her sweet tooth. Cindy Crawford undertakes pole dancing classes to stay in shape. The 51-year-old supermodel has admitted she attends S Factor exotic dance sessions with her friends to help her maintain her toned physique, but the fashion icon never feels ''embarrassed'' swinging around a pole because the room is ''really dark'' and she is usually with her pals. The star has also revealed she also works out on a ''tiny trampoline'', and finds that keeping fit and feeling ''strong'' has a ''huge impact'' on her mentality. 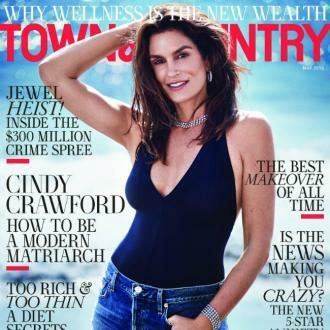 However, Cindy - who has 15-year-old daughter Kaia and 18-year-old son Presley with her husband Rande Gerber - has admitted she struggles to motivate herself to exercise. Although Cindy lives a healthy lifestyle, she has admitted she will treat herself to a piece of dark chocolate ''every night'' to satisfy her sweet tooth. And when Cindy works out she will often use the time effectively and will carry out a hair treatment at the same time. Meanwhile, the style muse relies on dry brushing her body to help ''reinvigorate'' her skin and keep her looking young, which is followed by a thorough moisturising session.